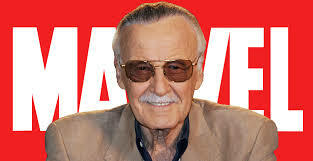 Be one of the lucky 100 fans to meet Stan Lee and have 1 item signed for free! The Comic Bug thanks Stan Lee's Los Angeles Comic Convention for the opportunity to host comic book legend, Stan "The Man" Lee on August 5th. The Details: Starting on Free Comic Book Weekend, May 6-7, all fans may come to either store to enter their name for a chance to meet Stan Lee. Sign-ups are free and names can be entered once every day until July 22.